What’s the Problem with Ann? She’s determined to find out. In this imaginative yet unflinchingly honest autobiographical case study, Ann Lupo walks us through the stages of falling in and out of love. Fun and whimsical, authentic and vulnerable, In Reality, is one of those films that remind me why I love movies. With incredible sincerity and a bit of tongue and cheek, Lupo skillfully (and sometimes literally) dances between fantasy and hard truths to deliver an entertaining and raw examination of the realities of romance. What takes this movie from a should-see to a must-see is its relatability. As Ann walks the audience through her journey, we see ourselves in her. Have you ever had an unreturned crush? An unrealistic fantasy of how your life should be? Lupo captures the little moments of those experiences so tactfully, I constantly caught myself thinking “I’m so glad I’m not the only one”. Through this piece, Ann calls us to examine where we’re finding our worth and treats you to a good time while doing so. 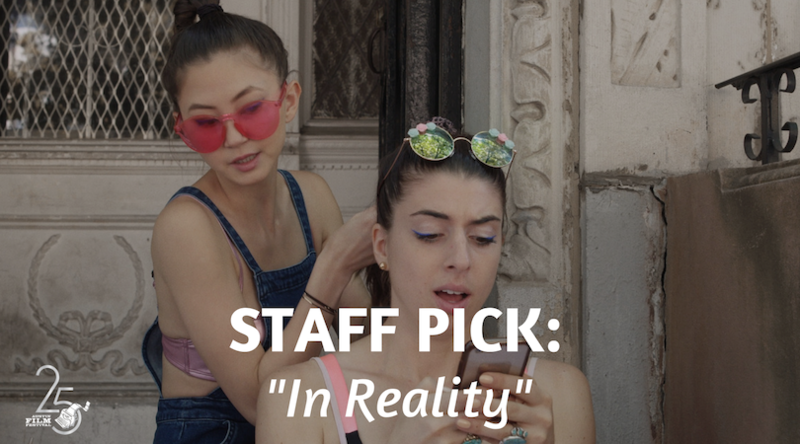 This movie feels like a cathartic chat with your best friends, so grab a face mask and your people and make sure to snag a seat at this screening.